Home > Entertainment > Spring Themed Free Worksheets for Kids | Over 300 Pages! 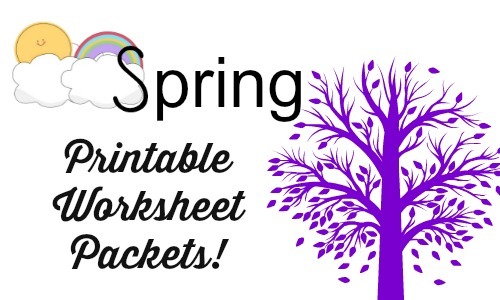 Spring Themed Free Worksheets for Kids | Over 300 Pages! There are a ton of new printable activities for kids available! They are perfect for homeschool families or anyone who wants to do educational activities with their kids. If you were to print all of the packets, there would be over 300 pages! The packets are available for a variety of ages and teach many different things. I’m always so impressed by how well done these packets are! There are units on flowers, spring, numbers, letters, and more. This is a great way to save money and still do fun things with the kids!